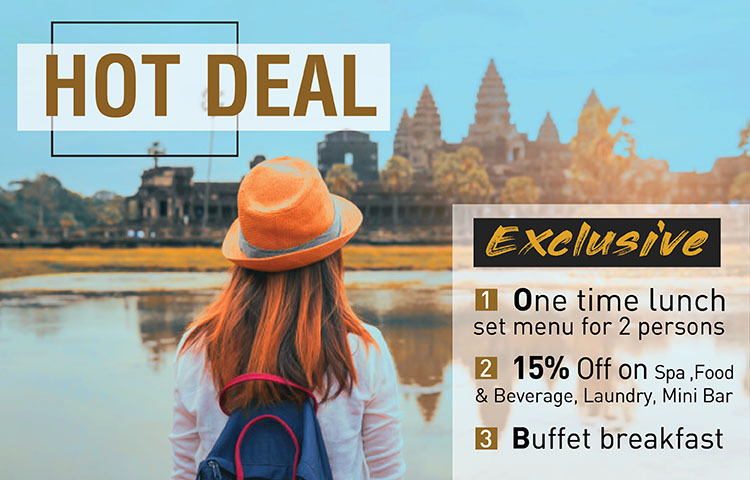 If you planning your holiday trip to visit Angkor Wat, the World’s number one Landmark by Travellers’ Choice, look for nowhere. Booking from three nights and above staying at Lotus Blanc Hotel, you can take advantage of our pleasant benefits if you Stay Longer, you will Save More. **Note: This promotion is available for minimum 3-night stay only.